Persemaian Ecotourism is a tourist destination with an area 95 hectares which is owned by PT. INHUTANI Tarakan City. In this ecotourism there are various kinds of trees and plants, beside that we can find some animals that still live freely in this place. Most tourists visiting to enjoy the natural beauty scenery is still cool, and also for a family picnic facilities. 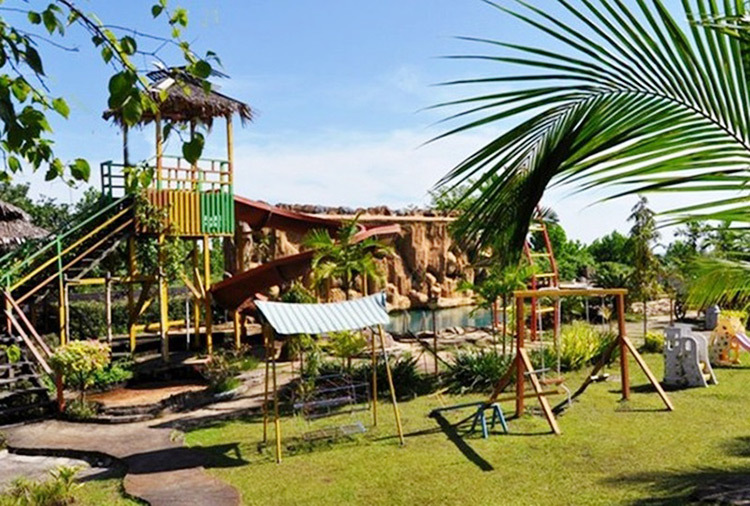 Persemaian Ecotourism is located in the tourist area of Juata, Tarakan City. A 30 minutes from downtown Tarakan. Precisely in Karang Harapan Village of West Tarakan. In this ecotourism there is a golf area for beginners. There is also a children's playground and swings. Many spots can be visited here such as the animal park, orchid garden, camping, fishing pond, and also a place to relax such as canteens, nurseries, pine and Agatis forest. Even the local government already provides many facilities that can be enjoyed by the visitors. Many of them usually visit this ecotourism every weekend or holiday. In this place you can enjoy the beauty of nature, a few animals and rare plants.